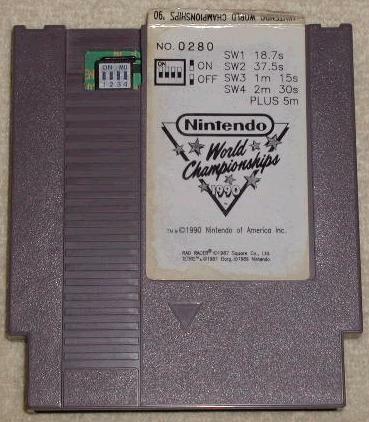 Below is a sales history log for Nintendo World Championships Gray and Nintendo World Championships Gold cartridges. 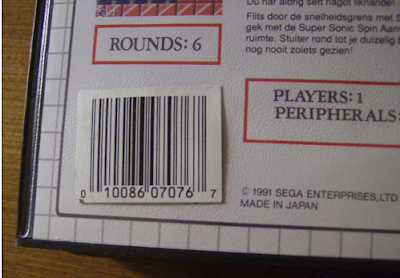 It includes the date of the sale, the price, the cartridge number, and other details of the transaction if they are known. 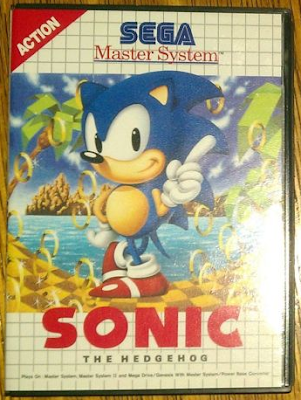 Other Details: The cartridge was sold at the 2011 Child's Play Charity fundraiser. Other Details: Private sale. Buyer purchased item directly from NWC competitor Jeff Falco. 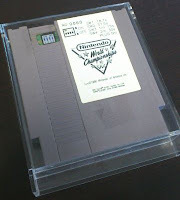 Purchase price includes game, signed semi-finalist hat, finalist t-shirt, and Nintendo Power with Jeff Falco's name in it. Other Details: Ebay Auction 320605562914. Other Details: Ebay Auction 220571733324. 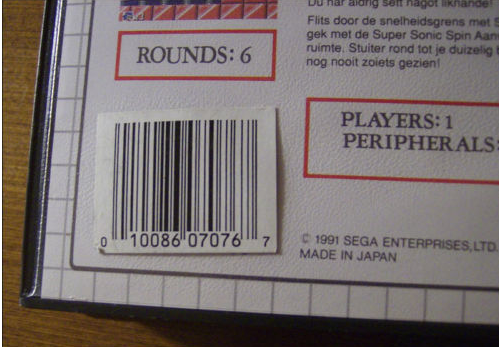 Cartridge cover was badly scratched. Other Details: Ebay Auction 120543472895. 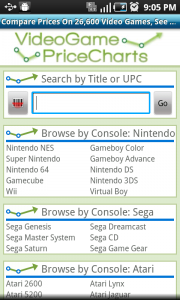 Other Details: Private sale on NintendoAge. Other Details: Ebay Auction 270422656534. Other Details: Private sale. JJGames purchase for rare game giveaway promotion. Other Details: A sale on eBay for an NWC cartridge with a peeling label. You can read more details about the purchase at the buyer's website. Other Details: Sold in a private sale after the high bidder on an eBay charity auction didn't pay. Proceeds from sale were donated to World Vision. Other Details: Purchased in a private transaction. 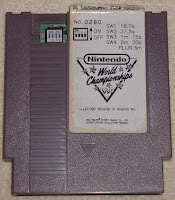 The details are described in an article "How I Got Nintendo World Championships Gold". 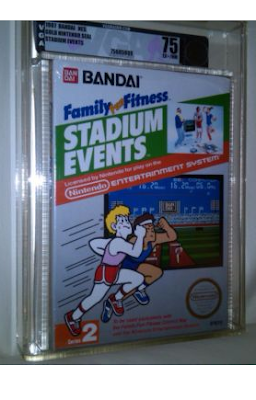 Other Details: Purchased by game collector James Baker. Some details about the purchase and other items in his collection are available in an Edge interview. If you have any details about a Nintendo World Championship Gray or Gold sale not listed here please contact us with the details so we can add it to the list. 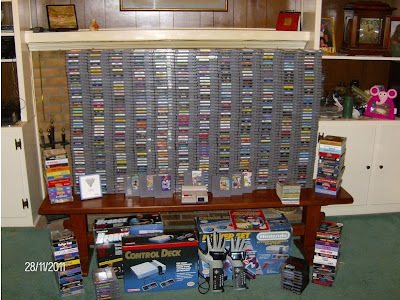 A member of PriceCharting.com's community posted about their auction for a complete NTSC NES collection on the forums. The auction is on eBay and is selling for $2,100 with four days to go. 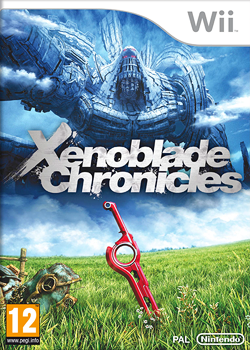 This past week it was announced that Xenoblade, the Japanese RPG for the Wii, will be released in the USA. It will be coming out April 2nd, 2012 and will be a GameStop exclusive. I'm predicting the game will become a future collector's item and probably be near the top of the Wii expensive titles list. All else being equal Role Playing Games hold their value better then any other genre. RPG's also have the best chance of increasing in price during the first year of release. Rare games are five times more likely to release during the last 2 years of the console's life than any other time. The Wii's successor, the Wii U, will be releasing in 2012 and Nintendo has already slowed support for the Wii. 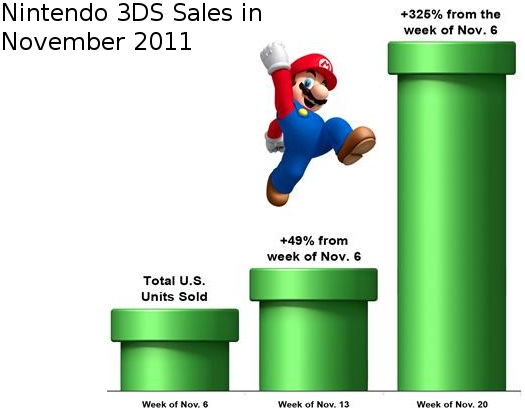 Until Xenoblade was announced there wasn't a single high profile Nintendo game on the Wii release schedule for 2012. The Wii is definitely at the end of its life-cycle. Fans of the game organized a website (Operation Rainfall), email campaign, letter writing campaign, and Amazon pre-order campaign to get Nintendo America to release the game in the USA. The pre-order campaign was so successful the game was #1 on Amazon's best seller list for several weeks even though the game was never announced. 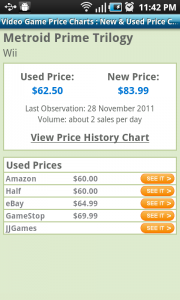 The loyal fans will purchase the game and probably avoid selling it which will keep resale prices high. Nintendo held off on releasing the game for the longest time because they didn't think it would be profitable for them. Even though the game has a loyal following, it is only being sold at one nation wide retailer and it is a niche genre. Nintendo will be very conservative with their production of Xenoblade to make sure they don't lose money on it. If the first print run sells really well Xenoblade might have second printings like Nintendo did with Super Mario Allstars Wii, but the game will never sell millions of copies. 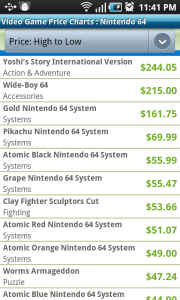 All of these factors lead me to believe Xenoblade will keep its value very well over time and most likely end up on the list of most expensive and rare Wii games. That doesn't mean you should buy the game as an investment by any means. Resale prices might still end up below retail price, but there is a much better chance Xenoblade will be worth more than other Wii games in a few years time.